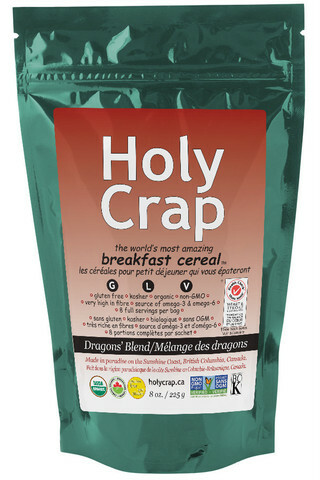 Corin Mullins and Brian Mullins present their healthy food ‘HOLY CRAP’ to Dragon’s Den and they get the offer they asked for: 120K for 20% of their company! They are AMAZING! I tried this cereal and honestly, it tastes Great- it tastes HEALTHY and by adding some fruits, the taste is even greater! Remember it does taste healthy, and if you want a healthier life, make this a part of your daily lives. I have started it and it feels great to start my day with this delicious cereal. You may add whatever you like to it, I add oatmeal and/or fruits to it. Go buy it and try it. It is a little more expensive than other cereals HOWEVER, you want quality, you will pay more than ‘cherios’. Watch the episode and check out how much they loved it!